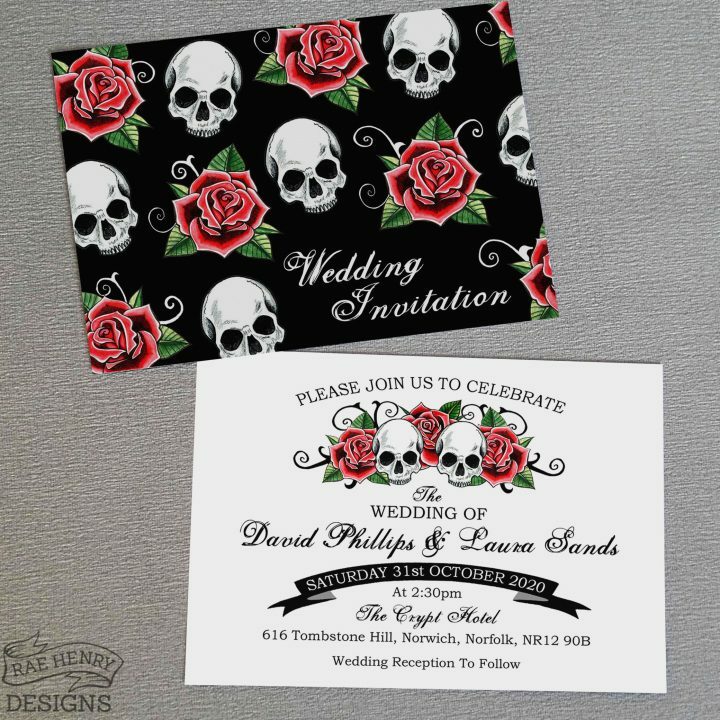 If you love sugar skulls, rock n roll and tattoos, you’ve come to the right place! 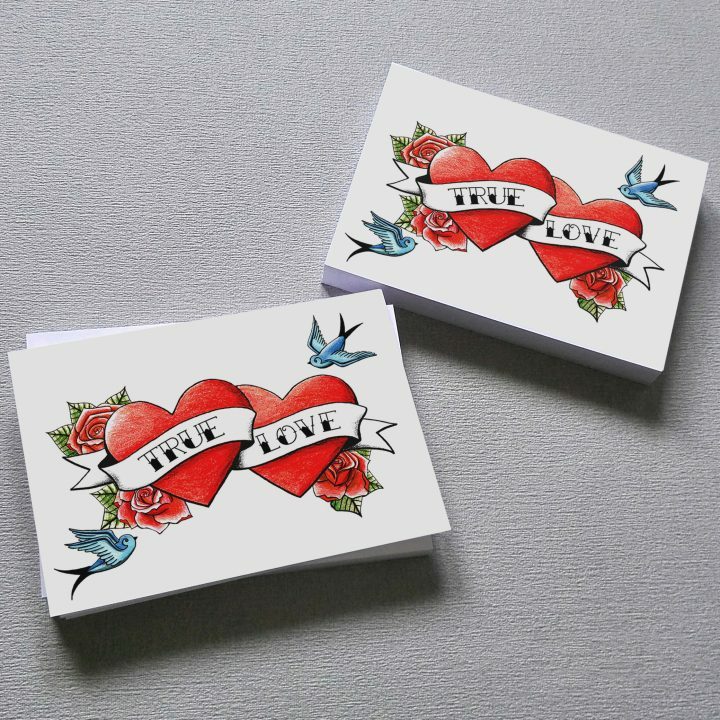 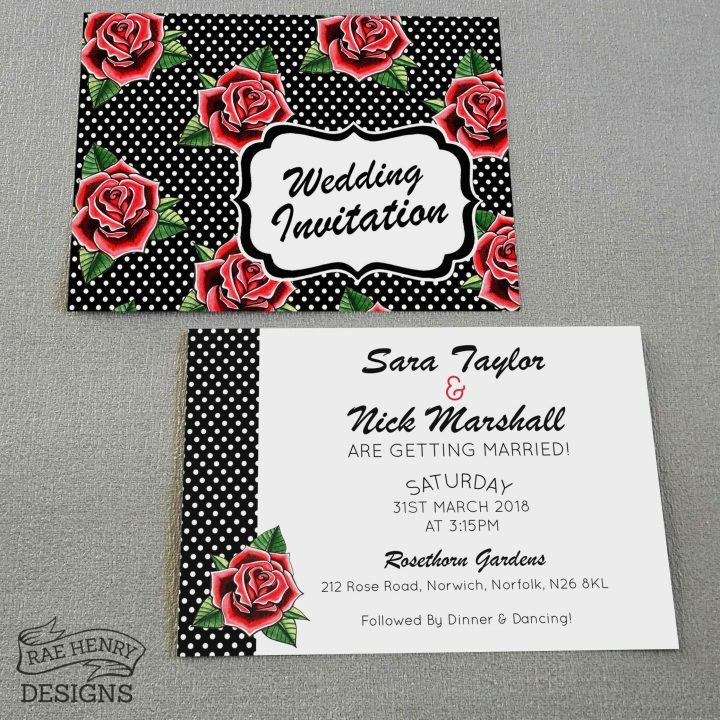 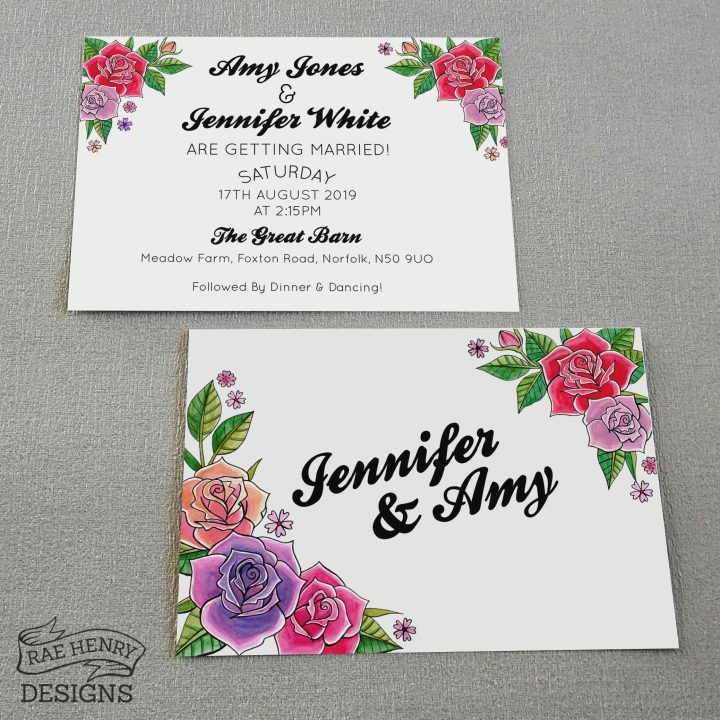 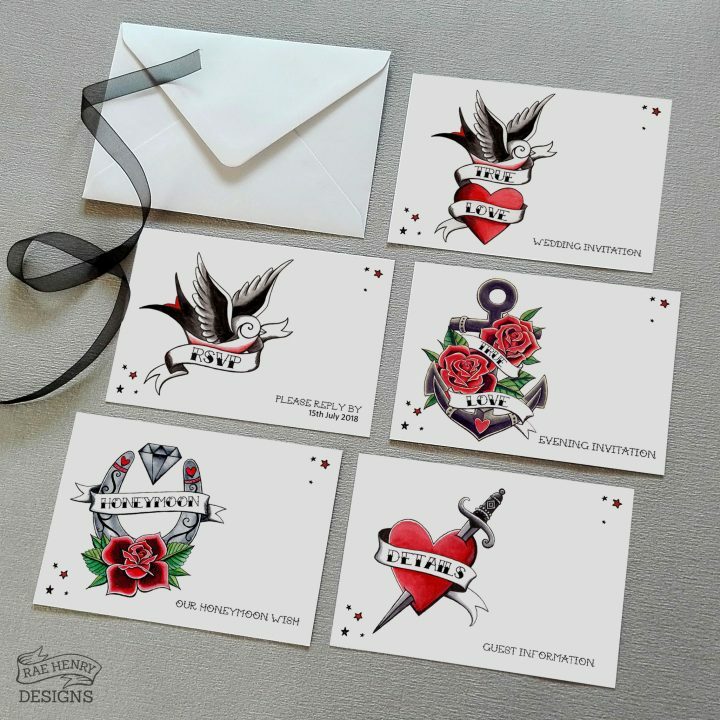 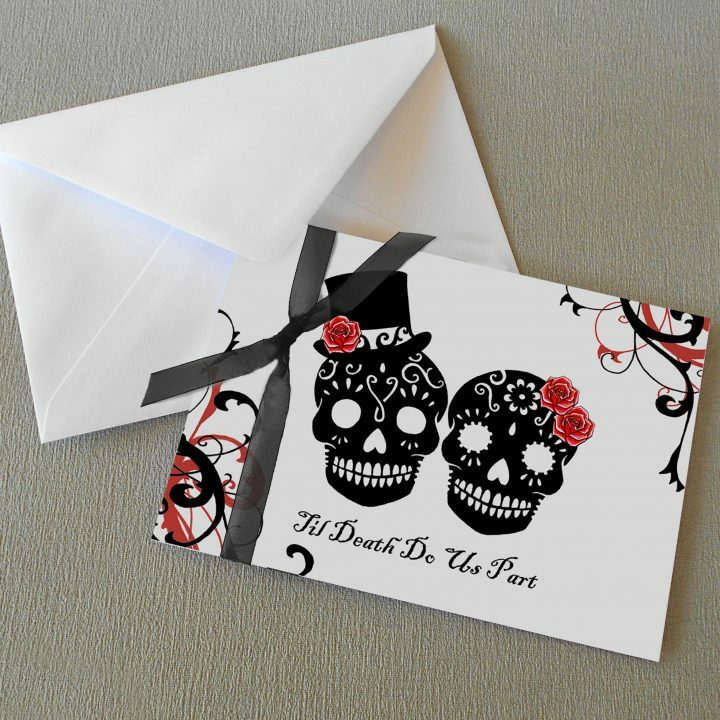 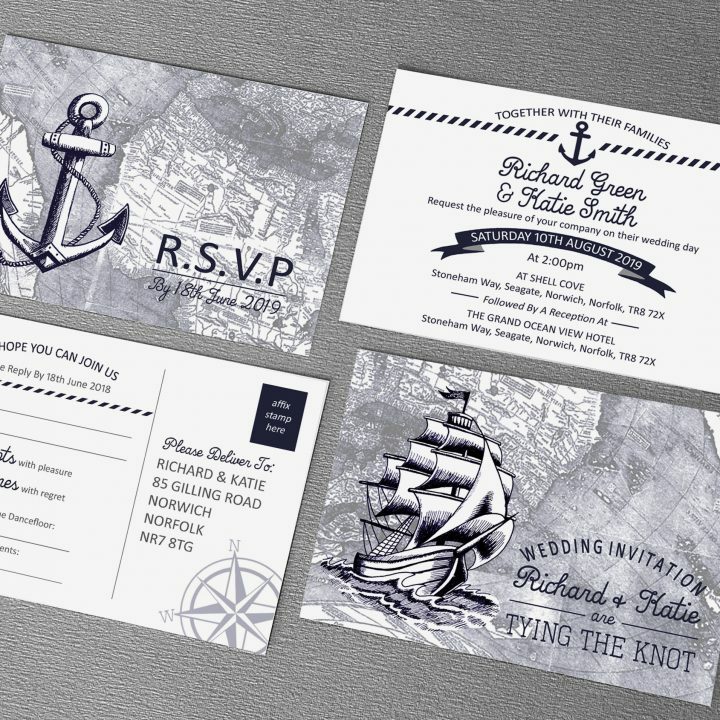 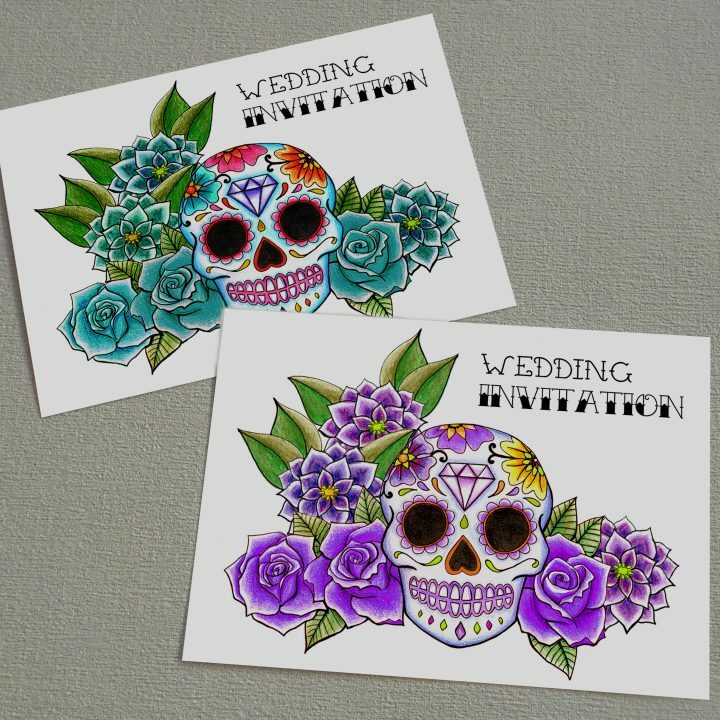 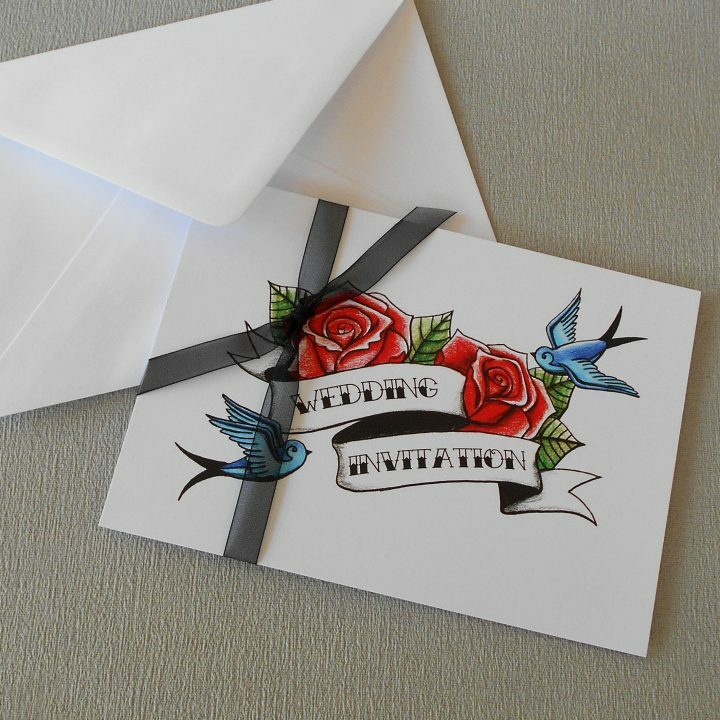 Make your special day unique with alternative, rockabilly and gothic wedding stationery designs. 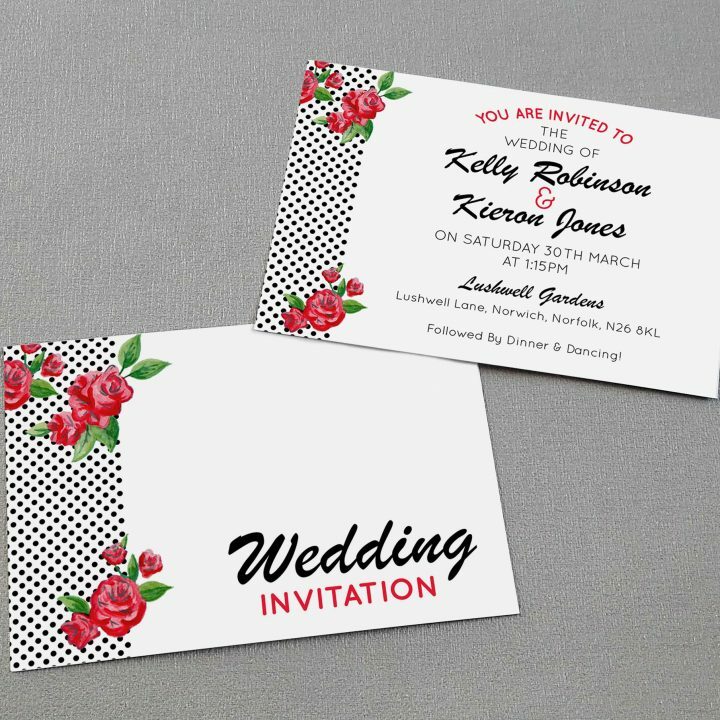 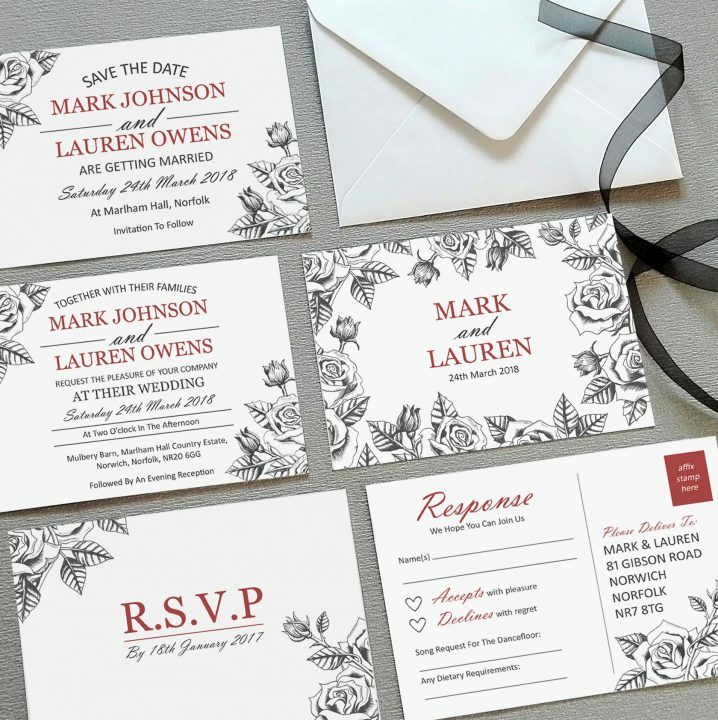 Personalised pre-wedding stationery including save the dates, invitations and RSVP cards can be viewed in the collections below and ordered via email or contact form. 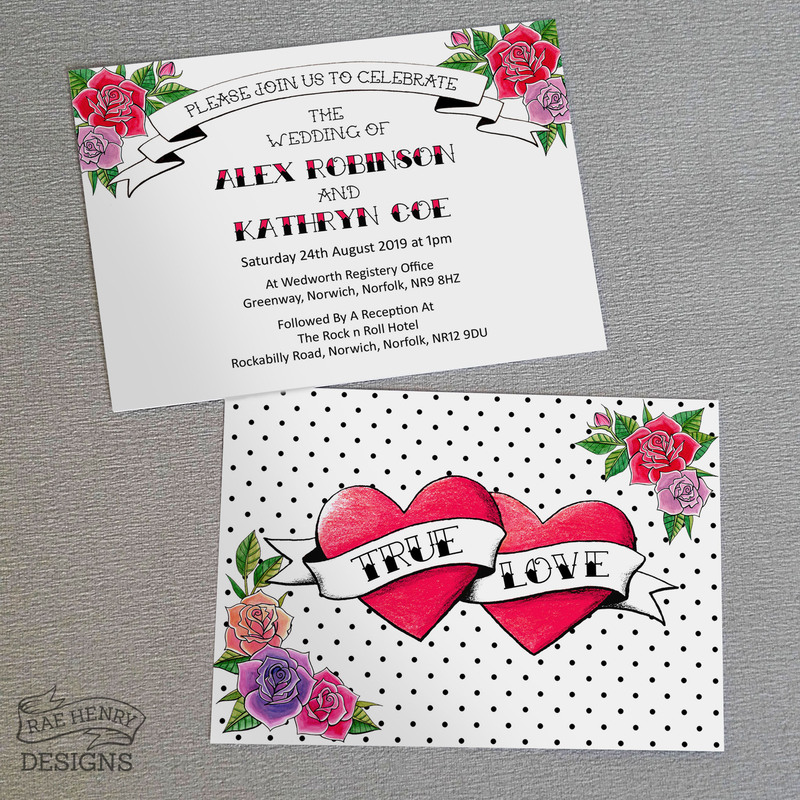 Please click on the pictures below for more information about each collection. 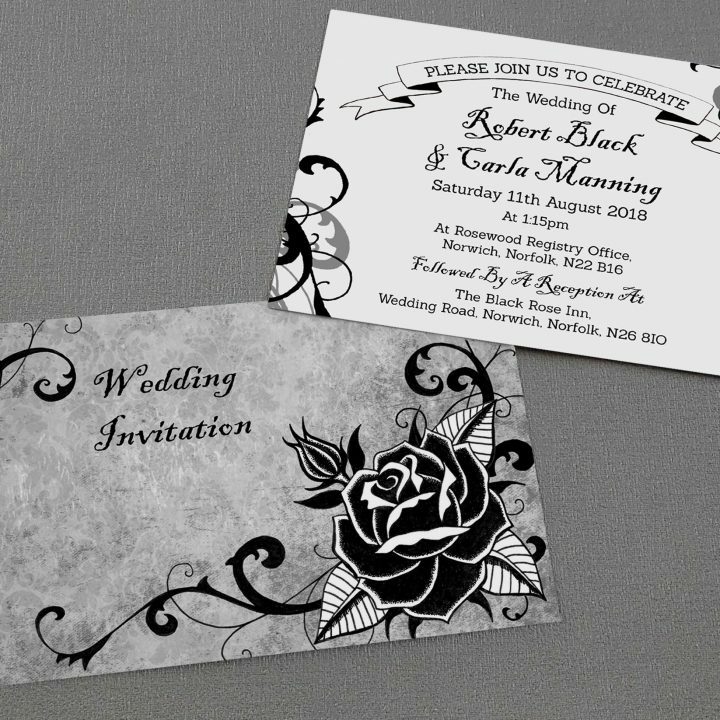 Get in touch about minor changes to existing designs or enquire about bespoke design to help make your vision a reality.